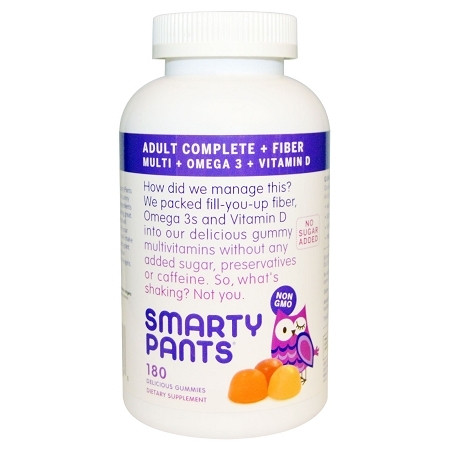 Adult Complete Plus Fiber is the only All-in-One gummy Multivitamin with Omega 3s, Vitamin D3, Fiber and No Sugar Added. Made in a 3rd party tested GMP-certified facility with only the highest quality ingredients — with natural colors and flavors and no High Fructose Corn Syrup, artificial sweeteners, preservatives, gluten, casein, caffeine or artificial stimulants. Made to help control your weight AND get you the nutrients you need for optimum health. For adults, take 6 gummies daily. May be taken with or without food.